Without a heart it has no dream. Of Earth and people – spirits desecration. Step within to find life anew. The infinite heart – compassion sublime. On this small world, outpost of the way. And come join our dance – whilst you still may. Let the children of Earth and sacred nature evolve. In the many layered multiverse – the cosmological garden. To share a slightly different outlook on the Christmas Festival I wrote a short song modeled after Charles Dickens’ A Christmas Carol but inspired by the earlier Pagan traditions of the Season. According to historian Ronald Hutton, the current state of observance of Christmas is largely the result of a mid-Victorian revival of the holiday spearheaded by Dickens’ Christmas Carol. Hutton argues that Dickens reconstructed Christmas as a family-centered festival… in contrast to the earlier community (and church)-based observations which had dwindled during the late 18th and early 19th centuries. Most of our actual British Christmas customs the tree, the turkey, the stocking, the cards and Santa Claus have only appeared since 1840. This season was always however a time for community, charity and sharing, as the poorest, oldest and feeblest members of a community would become physically vulnerable to hunger and cold. Their morale would take a further dent if they saw their neighbors making merry all round them and were unable to share in any of it. If they then died, this would not be good for the consciences of their survivors; if they lived, they could bear nasty grudges. Hence, from the time that evidence survives, midwinter was a great time for the giving of food, drink or money to the less fortunate. In the Middle Ages people known as Hogglers or Hognels would often volunteer to collect and distribute them. In addition, poor women and children would go from door to door asking for such gifts, a custom known, according to your region, as Thomasing, Gooding or Mumping. The fitter men from the poorer families would visit their wealthier neighbours with plays, dances or songs, and earn the goodies in return; that is why customs such as mummers’ plays, sword dances and carols are so important at this time. So when your doorbell rings and you find a choir yelling ‘Good King Wenceslas’ outside while a collector holds out a tin for a good cause, you are sharing in (a tradition)… thousands of years old. Whilst the trappings of the modern Christmas are relatively recent, this festive season has been celebrated since history began. In Ancient Northern Europe the mid-winter Solstice (between 20th/23rd of December) was called ‘Modranicht’ or ‘Earth Mother’s Night’ and as the shortest day of the year it effectively represents the turning point of the season. In Northern Europe the winter festival was called the Yule (Juul). As the people thought the Sun stood still for twelve days in the midwinter, plunging Mother Earth and all her growing things into the dark, coldness of death, it was thought that spring could not come without their celebration of midwinter. More on the Yuletide here. describe Odin as riding an eight-legged horse named Sleipnir (Santa originally had eight reindeer, Rudolph was nine) . More on the origins of Santa Claus here. Further, that the three greatest Neolithic monuments of Ireland, Scotland and England the massive tombs of Newgrange and Maes Howe, and Stonehenge itself are all aligned on the midwinter sunrise or sunset, shows how important this festival was even in the Stone Age. With an eye to current world affairs and the rise of Global Corporatism, I have included a protestors scene, with a call to Occupy Christmas as an opportunity to reconsider what the festival may mean now. 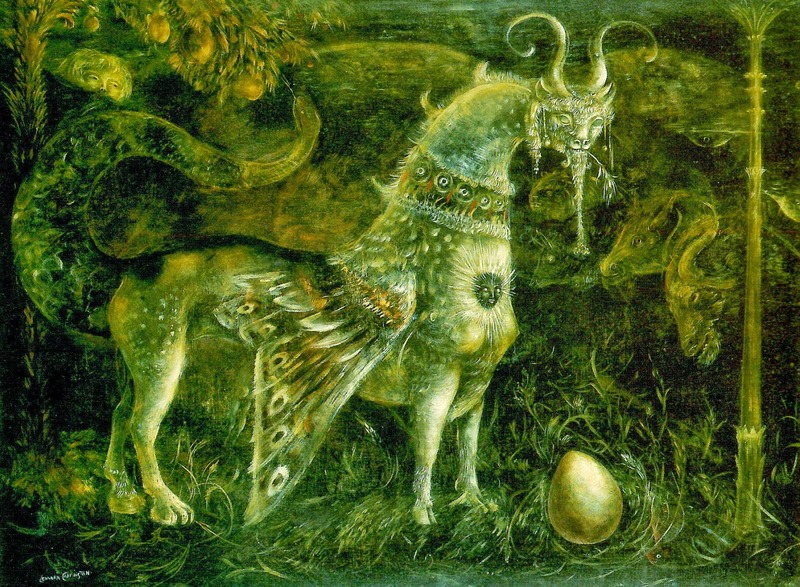 The Celtic view of the Otherworld consisted of three distinct realms, these being Sea, Land and Sky, their counterparts being Underworld, Earth and Otherworld. Tir Andomain, Realm of The Underworld and the Sea. This is the realm of the Ancestors and Gods and Goddesses responsible for the cycle of life, death and rebirth, the realm of the past. The Meath, Realm of the Land (Earth) represents the present and the physical. We are beings of this realm that we share with the animals and the nature spirits. Here we see the poverty of Dickens’ London as families live in sheds and children carol sing not for pocket money or treats but for essential foods. The Magh Mor, Realm of Sky and the Otherworld. This is where most of the Gods and Goddesses dwell, the realm of the future and the place that grants inspiration, creativity and wisdom. The realm of sky is the pathway of the Sun, Moon and constellations, as well as the wind and weather. Many Gods and Goddesses have influence in all three realms, just as the Land has it’s influence on the other two realms; caves, burial mounds, wells and springs are entrances to the underworld, while trees which exist in our realm are viewed as linking all three together. Represented here as a Celtic Afterlife peopled by Four Elemental Spirits of Air, Fire, Earth and Water. As Air; Dian Cecht, Psychic Guardian and Healer of the Tuatha Dé Danann ~ The Hawthorn was a symbol of psychic protection due to its sharp thorns. Spirits were believed to dwell in Hawthorn hedges, which were planted as protective shrubs around fields, houses and churchyards. The Goddess Brighid was also associated with the Hawthorn, which is one tree which has managed to breach the divide between Paganism and Christianity and Dian Cecht was Brigid’s male counterpart.Hawthorn individuals are represented by a Masculine polarity and the color purple. As Fire; Aibheaog is an Irish deity who represented fire, and yet she had a magical well which promoted healing. She is associated with wells and the number 5. Rules Over: Healing, Midsummer well rituals. As Earth; Cernunnos. Although Cernunnos is a Gaulish horned god, his worship was widespread in the Celtic era, and he was venerated over the channel in Britain in various similar forms. In appearance he had stag antlers sprouting from his head, wore a torc around his neck, and was depicted with a ram headed serpent. He may have been seen as lord of the animals, and the spirit of the woods, a powerful archetypal nature spirit and male partner of the earth mother. Later, in Christian times his image was transposed on to that of the Devil, who also appeared with horns. As Water; Coventina, a Celtic river goddess known for healing, also associated with renewal, abundance, new beginnings, life cycles, inspiration, childbirth, wishes and prophecy. In worship to her coins and other objects were tossed into the wells as offerings for sympathetic magick. These wells represent the earth womb, where the Celts felt her power could be most strongly felt. Her symbols are the cauldron, cup, water, coins, broaches and wells. From Scotland comes her association with the underworld, where she was the Goddess of featherless flying creatures which could pass to the Otherworld. Being a river goddess she is connected the ebb and flow of time. With a hope that this film may remind us to think of more than just family gatherings and presents, that it may be a magical time to think with our hearts and consider the wider picture. To focus upon the whole rather than any portion, to live more meaningful lives, we may honor these the Three Realms and each-other throughout our daily lives. Through the Silence beneath the Snow. And the Circle is ever clear. No more Cup Of Memory here…. And the Circle now Draws Near…. To your Future, Present saved…..
And the Circle has come Here. King Arthur having recovered Bran The Blessed’s talking Head, will bring this head to a Samhain gathering where Bran will recite The Song of Amergin to the assembled gathering. which speaks of the origin of the Universe, the nature of the Gods and the path to Wisdom. Taken from The Irish Book of Invasions first written down in the early medieval period, this poem is attributed to Amergin (Irish;Amhairghin) chief Bard and Druid of the Milesians. The Tuatha Dé Danann’s High King, The Dagda, invoked his powers to repel the strangers, he sank their ships and prayed to the winds to keep them out. They landed however and Amergin sang a poem of thanks, aligning himself with the powers of the Land. Through his Awen (poetic inspiration) he became the elements and the Cosmos, charging them with his flowing spirit and limitless understanding, he overcame all obstacles and his people took guardianship of the Land. By answering a series of riddles in an ancient Welsh ‘Book of Taliesin‘, Robert Graves first uncovered ‘The Battle of the Trees’. This was a poetic ‘battle’ apparently charged with the purpose of preserving the hidden Druidic knowledge of a secret tree alphabet or Ogham, from the uninitiated during a time of cultural upheaval as the newly arrived Christianity sought to replace the earlier pagan and Druid traditions. Then considering its Irish poetic counterpart ‘The Song of Amergin’, Graves discovered the use of a similar alphabet that also operated as an ancient Celtic calendar. By strictly adhering to the poem’s structure, Graves worked out the proper sequence of the Irish alphabet, which was then comprised of 13 consonants and five vowels. (It is only later that it grew to 15 consonants). Poem by Amergin, Translation From The White Goddess, by Robert Graves. Graves maintains that the architectural structure of the Dolmen with its horizontal capstone resting above two upright stone pillars, served as teaching tool for Druid priests on which the Irish alphabet was superimposed in sequential form on three separate slabs. So for example starting upwards from the bottom left of the first stone are the letters B, L, N, and F. On the capstone from left to rights are the letters S, H, D, T and C. Descending downwards on the right pillar are the remaining consonants, M, G, NG, and R. Hidden below this stone formation thus reflecting the Celtic belief, ‘As above, so below,’ are placed the threshold of vowels, A, O, U, E and I. Thus this alphabet Dolmen may serve as a calendar, with one post for Spring, another for Autumn, the lintel for Summer, the threshold for New Year’s Day. Graves’ revelation of the dolmen being used as teaching model for the Irish alphabet makes the myth of Merlin transporting the stones of Stonehenge from Ireland to Salisbury enormously intriguing. Perhaps the stones he ferried were more of a stone alphabet like runes. If so, there is a strong possibility of a similar alphabet in use at Stonehenge and this might also explain the legend of Merlin’s alleged role in its construction.. Taking Grave’s analysis of the Song of Amergin a step further, the final riddle, ‘Who but I knows the secrets of the unhewn dolmen?’ raises questions about whether Stonehenge could be ‘read’ like a book. Graves suggests that much like Braille, the dolmen’s dimples, indented grooves and angles are an essential part of reading the alphabet and hence the stone. ”If one Dolmen can be used as a teaching tool on which the Irish alphabet was placed, could not an entire circle of stones tell a tale? Brân the Blessed (Bendigeidfran, the ‘Blessed Raven’) was a central figure in The Mabinogion, counted as Britain’s greatest champion before King Arthur and one of the ‘Three Blessed Kings of Britain’ according to the ancient Triads. He was also Guardian of a magical Cauldron of Knowledge and Rebirth from the Goddess Cerridwen. There is an ancient Celtic tradition about Cauldrons of rebirth, into which wounded, dead or dying soldiers were plunged, and came out healed and reborn. Following a conflict over Bran’s sister Branwen,(the White Raven) after her wedding to the Irish King Matholwch (the Bear), Bran offers him reconciliation in the form of his Cauldron. However Matholwch mistreats Branwen in Ireland and she sends word for Bran to rescue her. On their arrival the Irish offer peace but actually plot treachery and a vicious battle breaks out. The result of the battle was very catastrophic, every Irish citizen but five pregnant women lay dead, and of the mighty armies of Bran, only seven men survived. These men were instructed by the mortally wounded Bran to decapitate him and bear his head to Caer-Lundein (London) to bury it at Gwynfryn, the ‘White Mount’ (where the Tower of London now stands) to protect the Isle. 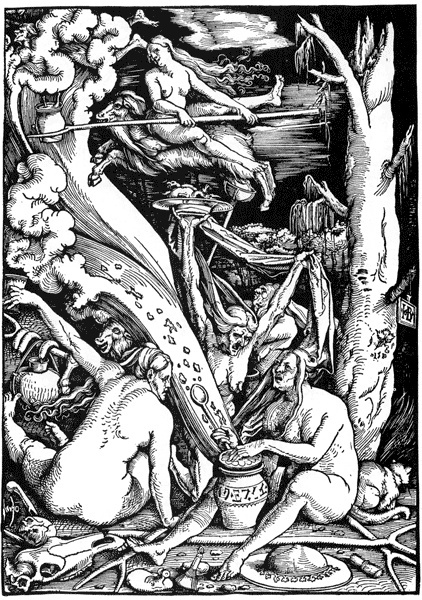 On their return voyage the men chanced to enter the Otherworld and for seven years the seven survivors (symbolic of the seven planets that regularly descend into the Underworld and then rise from it) stayed in Harlech, entertained by Bran’s head which taught them everything he had learned from the Goddess’ Cauldron, passing on his wisdom for all future generations. That Bran, the Raven’s severed head was also capable of prophecy connects him with the ancient Celtic practice of augury, divination through bird flight. The group set off again and land to spend a further 80 years outside of time, in a castle on Ynys Gwales, Grassholm Island off Dyfed, where they feasted in blissful forgetfulness and joy. Eventually they take the head to the Gwynfryn, the ‘White Mount’ thought to be the location where the Tower of London now stands, and buried it facing France to ward off invasion. According to the Welsh Triads, as long as Bran’s head remained in The White Tower facing France to ward off Saxon invasion, Britain would be safe from invasion, which it was for many generations before it was dug up by the pious King Arthur. ‘Arthur disclosed the head of Bran the Blessed from the White Hill since he did not desire that this island should be guarded by anyone’s strength but his own’ – Welsh Triads. King Arthur had declared that he needed no talisman to protect his own country and dug up Bran’s head as proof that he could perform the requirements himself. Sadly, he did not succeed and internal political conflict led to his death and to the increase of Saxon settlements in Britain. More recently and following the ancient prophecies and the Celtic belief in reincarnation, the returned King Arthur has reburied a symbolic Ravens skull at The White Mount, Tower Of London, in an effort to resurrect the protective power of Bran in these troubled times. Samhain being the doorways that divide the year into Light and Dark. Samhain itself is a Gaelic word signifying the end of summer and begins at sunset October 31. This is believed by many to be a magical time when the boundaries between the worlds of the living and dead become thinner, allowing spirits and other supernatural entities to pass between them. through the last several centuries, and villagers were said to have cast the bones of the slaughtered cattle on the flames hence the name ‘bone fires’, some say these bones should then be ‘read’ for their prophetic powers. With the community bonfire ablaze, the villagers extinguished all other fires. bonding the families of the village together. Souls’ Day, on November 2.
original purpose had died out. ‘saint’) the last night of October, included a Church mass for the dead, torchlight processions and bonfires. Objectively, Mr. Hutton does include the evidence for both of these latter in the earlier festivals. Conjecture over other aspects of this festival and following extrapolations from Beltane, the other great turning point in the Celtic world, supports many peoples views that a commemoration of the deceased could indeed have been an ancient tradition as the people saw nature fall to decay so thoughts naturally turned to loved ones also passed away. Many customs were also established, such as the approaching time of darkness being regarded with suspicion and a need for protection by bonefires and charms. Gatherings were held and still are, feasts and gifts were shared, blessings were given and invoked and the presence of spirits traveling between worlds is felt, these traditions inform our belief and practice today. In such a view, offerings may be made to welcome specific ancestors and a community’s beloved dead home, songs, poetry and dances can performed to entertain them. The opening of door or window to the west lit with a candle or lamp is thought to aid their passage home and conversely candle lanterns carved with fearsome faces are placed in windows to ward off any unwelcome evil spirits abroad on this otherworldly night. the practice had also become a feature of Halloween in Scotland and Ireland. The practice of Trick-or-treating apparently originates in the late medieval practice of ‘Souling‘, when poor folk would go door to door on Hallowmas (November 1), receiving food in return for prayers for the dead on All Souls’ Day. The poem famously details the legendary Gwydion‘s account of the trees of the forest which he enchanted to fight as his army against Arawan. Graves suggests that the trees in this poem correspond to the ancient Ogham alphabet, in which each alphabetic character represents a specific musical note, seasonal cycle, mythological tale and deity. Generous as three times thrice the incantations wisdom to view. To burst forth the day of flowers, which is certain. And they will yield away completely, melt into forever the home of the fey. And delight as the Maidens sweet as wild honey each, and as fair as the lily after spring has spoken. A Sacred Marriage shall arise among them as in precious Chalice they set Earth’s Athame..
And our flowering ones will lead us in to the Summerlands, the excellent lands, in the most beautiful way. Weaving lives, love and laughter, beside and before you, weaving bright welcome gladness all around. To the heart be it binded, a deep blessing from today. They were sage advisers and most often called upon to counsel Kings and other social leaders. Above all else, they were exemplary poets and in Ancient Ireland this position was honored with status and rights surpassing even that of the Kings whom they advised. The Rosc that such Druid’s wrote(pl Roscanna)is a rhetorical, usually magical, chant, more than just a poem, these are poems that can invoke or topple the Gods and conjure whole nations from thin air. Intended to be obscure, full of puns, and often set in deliberately ‘pseudo-archaic’ forms intermixed with more modern idioms, these poems were not public proclamations but ‘magic’ spells and prophecy, conceived to draw mystic power from having multiple meanings and ancient obscure diction. This multi-faceted aspect of the language of Roscanna has the same insistence on ambiguity which one finds in ancient Celtic and Irish art wherein a given figure is not merely a spiral or a face or an animal or a leaf, but is all of them at once in an exquisite gestalt. Taliesin is probably the most famous of the Cynfeirdd, the early Bards. As such he has assumed an almost mythic status to the extent that two distinct Taliesin’s have emerged: the historic figure of the late sixth century and an entirely mythological figure whose legends were chronicled into the Ystoria Taliesin (Tale of Taliesin) by Elis Gruffydd in the mid sixteenth century. His name is derived from the proto-Celtic elements talo(forehead) and jes-t-īn-o(bright) and has been interpreted as ‘radiant brow’ possibly referring to his blonde hair, but equally possibly representing the radiance of his gift of poetry, his awen. Whilst most Roman records referred mainly to male Druids, the existence of female Druids is confirmed by the written sources from the Greek and Roman who were fascinated by the role of women in Celtic society. The Celtic culture as a whole was known to accord equal status and high regard to their women folk in contrast to Roman world where women had no political rights and very limited civil rights, Roman women could not for example own property or inherit land, were kept in seclusion and considered ‘chattel’. Because the rights of Celtic women were many times better than the rest of Europe, we can make an educated guess that a persons gender mattered little when one wished to study the Druid ways. All that would be needed is a strong memory and intellect and the desire to learn. In addition there are references to bandrui in the medieval Irish tales, ban signifiying female and drui for Druid. Conchobor Mac Nessa’s mother Nessa was a druid, Finn was raised by a female druid and Scathach is explicitly called both a flaith or ‘prophetess’ and a druid and she prophesies about Cú Chulainn. Of the name Ganna, Dio Cassius mentions that a Druidess named Ganna went on an embassy to Rome and was received by Domitian, younger son of the Roman Emperor Vespasian, this serves as precedent for the name here used..
Beltane or Beltane is the Gaelic name for the festival that rightly begins on April the 30th or Beltane’s eve and continues on 1st May and is a celebration of purification and fertility. The name originates from the Celtic god, Bel – the ‘bright one’, and the Gaelic word ‘teine’ meaning fire, giving the name ‘bealttainn’, meaning ‘bright fire’. Marking the beginning of the Summer season with the lighting of two great bon-fires on Beltane’s eve signifies a time of purification and transition, these fires may be made of the nine sacred woods, Alder, Ash, Birch, Hawthorn, Hazel, Holly, Oak, Rowan and Willow. Heralding in the season in the hope of a good harvest later in the year, Beltane festivals were accompanied with ritual acts to protect the people from any harm by Otherworldly spirits. Significantly, as the Goddess (Brigid) moves through her various phases, Beltane sees the womanly aspect of the Summer Goddess banish the Old Crone aspect of the Winter Goddess in readiness for the maternal time and the fruits of nature to follow. As this is one of the magic turning points of the Sacred Seasons, the veil between worlds is thought to be especially thin, and as a result many of the Fairy Host, the Sidhe and the Tuatha De Danann may be seen crossing between the worlds. Particularly, the Faery Queen is thought to travel about on this night and if you gaze too long on her enchanted beauty she may whisk you away to live in her Other realms outside of time for an eternity. The Faery Queen also represents the May Queen, although in practice the honor is usually carried out by young women who are soon to be married. The May Queen’s role in the Beltane proceedings, along with her May King, mythically a Jack in The Green, the Green Man or Horned God, is to take part in the Great Rite. This is the Sacred Marriage of the God and Goddess, often reenacted by a symbolic union during which the Athame (magical knife symbolizing male energy) is placed by the King of May into the Chalice (Sacred Cup symbolizing female energy) held by the Queen of the May. I refer the reader to Marrion Zimmer Bradley’s moving account in her fiction The Mists of Avalon. festivities ensue, particularly that of dancing around the May Pole. The May Pole itself is a symbol of the union of the God and the Goddess, as the red ribbons represent the fertility of the Goddess, the white represent the fertility of the God. Men begin the weaving by dancing under the upheld ribbon of the first women facing them, accompanied by music, drums beating or chanting. The dancers move forward, stepping alternately over and under each person who’s dancing toward them. The dance continues until the Maypole is completely wrapped, then the ribbons are tied off and the wreath from the top is tossed to the earth to bring its gathered power into the ground. Whilst such public festivals are not as widespread as they once were, famously at Padstow in Cornwall there still is held an annual ‘Obby-Oss‘ day, which is believed to be one of the oldest survivng fertility rites in the United Kingdom. St. Ives and Penzance in Cornwall are now also seeing a revival of similar public festivities. During Medieval times, a man might also propose marriage by leaving a hawthorn branch at the door of his beloved on the first day of May. If the branch was allowed to remain at her door, it was a signal that the proposal was accepted. If it was replaced with a cauliflower, the proposal was turned down. Crosses of birch and rowan twigs were hung over doors on the May morning as a blessing and protection, and left until next May day. The dew on the May day morning is believed to have a magical potency – wash your face and body in it and you will remain fair all year. With Joy We Cherish Infinity.